As recently indicated by the Andhra Pradesh Chief Minister N Chandrababu Naidu , the state is likely to develop its own-local manufacturing hub of medical equipment. While still toying with the idea, Naidu is reported to have stated his objective to set a hub for manufacturing of medical equipment in the state during his recent visit to Delhi. This initiative is likely to have received a warm reception during Naidu’s meeting with Medical Equipment Manufacturers’ Forum and Union Health Ministry officials , as India has a huge requirement to manufacture its own equipment; which are necessarily imported (imports constitute 78% of medical equipment used in India). While the recent move to allow FDI in medical technology development sector has also been met with huge cheers by the industry. It will help bridge the technology know-how gap in the medical devices manufacturing sector, as reported by the Medical Dialogues team earlier. 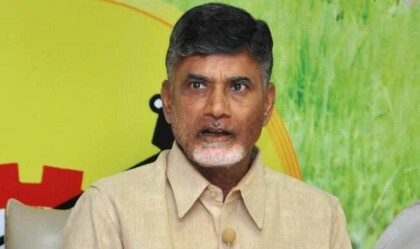 Observing that AP has the advantage of a long coastline and deep water ports, he said the government plans to come up with a policy on medical equipment manufacturing. The release quoted Medical Equipment Manufacturers Forum as saying that in spite of having a market size of Rs 16,000 crore, India is currently importing 78 per cent of medical equipment. This, he said, is mainly because of lack of talent and infrastructure. The Chief Minister invited a Forum delegation along with Government of India representatives to visit Andhra Pradesh and select suitable sites for setting up base, the release added. Health Minister Kamineni Srinivas, Advisor (Communications) Parakala Prabhakar, Special Representative of Government of AP in New Delhi K Rammohan Rao and senior officials were present on the occasion.